I drew a few cocktail glasses for last week's contest on Spoonflower (cocktail theme). 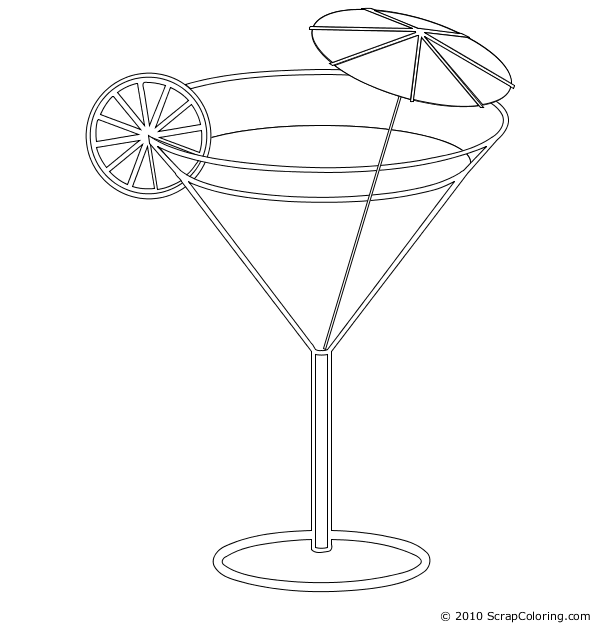 Here is a 3D martini glass with a lemon slice (or lime or orange, your choice of colors as usual!) and a decorative paper umbrella that you can color with patterns. Then serve yourself a nice gradient of pineapple or orange juice with some strawberry puree or berry syrup! Cheers! If you do not see the online coloring page Cocktail in black and white above, you need to use another web browser: see the page Supported Browsers.